Tabitha is my new violin student. The first time we met, she’s little timid,but after awhile I have sense that she got talent for the instrument. 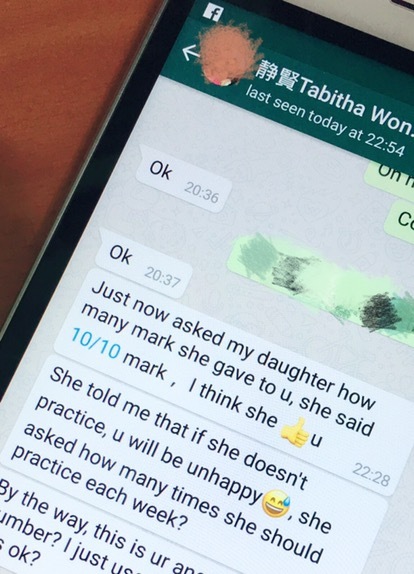 I asked her if my lesson is interesting and asked her to score 1 to 10, and after I left, her mom did the same, ask her to give me score. I am flattered to be given full marks😊 I’ll try my best to nurture you.